2014 has been a positive year for IT skills and careers, with a string of government initiatives launched to encourage not only more students into science, technology, engineering and maths (Stem), but also more employers to open their doors to apprentices. The government unveiled 40 employer-designed apprenticeships, including six digital industries standards this year. Developed as part of the Trailblazers campaign, launched in October 2013, the apprenticeship scheme is made up of large and small employers and professional bodies that have collaborated on the apprenticeship standards to ensure apprentices undergo a high standard of training. The standards were launched alongside the government campaign Get In, Go Far. For National Apprenticeship Week employers followed suit by pledging 20,000 new apprenticeships. The Budget 2014 also revealed promises for apprentices with George Osborne announcing plans to double the number of available apprenticeships, the introduction of degree-level apprenticeships and extended grants for employers taking on apprentices. Later in the year the digital economy minister Ed Vaizey announced the employer-backed Degree Apprenticeships and short courses. The digital sector qualifications were launched to enable students to complete a full honours degree while in employment – with no student fees and earning a wage throughout. The Autumn Statement also held good news for apprentices as it was announced that from April 2016 employers will not have to pay National Insurance contributions for all but the highest-earning apprentices aged under 25. 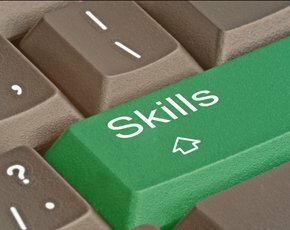 Despite the surge in support for apprentices this year a recent report by government body the Skills Funding Agency revealed the number of people starting ICT apprenticeships has plummeted, despite a surge in applicants fighting for positions at tech companies. One employer onboard with encouraging young people into coding, programming and digital technology this year was the BBC, which launched its 2015 education project Make it Digital. The initiative will be the BBC’s major education project for 2015, following on from World War One in 2014. The scheme taps into the new computing curriculum launched in September, which was highly debated at the beginning of the year for being too open despite Ofsted claiming the open curriculum will enable teachers to flourish. At the start of the year the government injected £500,000 into computing teacher training to ensure schools were prepared for software coding when the ICT curriculum started. 5. The UK’s new computing curriculum is here: Are teachers ready? In 2013, a survey by MyKindaCrowd revealed teachers were not receiving the support they said they needed to introduce the computing curriculum. So when it finally commenced, Computer Weekly asked teachers whether they received the support, training, funding and resources they were promised. Most teachers felt a range of training was available – it was just a case of narrowing down what was relevant for each school. 6. England's computing curriculum: How was the first term? Computer Weekly also investigated how teachers were feeling after the first term of the computing curriculum ended. Despite parents being unaware of when the computing curriculum started and then calling for help with coding homework, teachers are feeling confident about how the first term went. Encouragingly, the number of students studying computer science at GCSE increased fourfold in 2014. Figures released by the Joint Council for Qualifications showed 16,773 students sat the computer science GCSE exam in 2014, compared with 4,253 in 2013. However, only 13,650 students took A-Levels in ICT and computing, a decline of 3.7% since 2013. The two subjects represented only 1.6% of all A-Levels taken. In December, the government announced a computer science GCSE will launch in 2016. Following on from its support for Stem-based careers, the government launched a campaign to accelerate participation in Stem subjects. The Your Life campaign saw 170 businesses and institutions offer more than 2,000 jobs and apprenticeships. The UK’s recent focus on Stem has not gone unnoticed worldwide as UK universities specialising in Stem dominated the Quacquarelli Symonds (QS) World Rankings for 2014. According to higher education advisor QS, three of the world's top five universities for Stem subjects were in the UK, with six UK institutions in the global top 20. The top university was Massachusetts Institute of Technology for the third consecutive year, with the University of Cambridge and Imperial College equal second. The Imperial College rose from fifth place in 2013, boasting the biggest leap in the top ten. Harvard University was placed fourth, dropping two places, and UCL College London and Oxford were equal fifth. Several high profile figures have also shown their support for students choosing careers in Stem as the Duke of York and Nominet Trust launched an initiative to encourage young people to start their own business ventures. Unveiled at Buckingham Palace, the iDEA Digital Enterprise Award scheme aims to give young people the confidence to launch a startup business. The Duke of York also hosted an event which included rapper will.i.am’s support. The Duke of York also learnt to code with London school children this year. Hosted by IT recruiter Hays Information Technology, more than 60 children learnt to create apps, games and websites with CoderDojo mentors on hand for guidance.